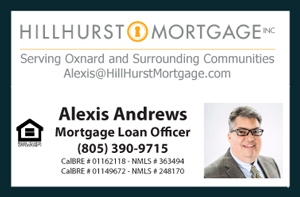 Please join me, David Tovar, at my Open House this coming Saturday February 14, 2015 from 1pm to 4pm, at 1734 Patricia Street Home for Sale in Oxnard CA 93036. Come see this beautiful home located in a very desirable neighborhood in North Oxnard. ***Welcome Home! ►►► WOW, WONDERFUL HOME, GREAT FOR ENTERTAINING ◄◄◄ Move In Ready, this place has it all! *** As soon as you enter this light, bright, and open home, located in highly sought after North Oxnard, you will be impressed with all it has to offer. Enjoy meals in the gourmet kitchen complete with stainless steel appliances, open the back doors to the large patio and outside living meets inside living to make a wonderful entertainer's delight, cozy up by the fireplace on chilly nights in the large living room and keep the warm air in and the cold air out with new dual pane windows, feel like you are at a resort in either one of the remodeled bathrooms, enjoy the outdoors and keep the kids and pets safe in the private mature landscaped fenced backyard, large driveway for parking, and a clean garage for your storage needs. Welcome Home!